The only difference between these 2 is the placement of the banner. One is centered and the other is low on the card front. These are 3x3 cards, just big enough for a quick note. This one I went a little crazy on. Two of the feathers are stamped on watercolor paper, and the gold embossed one is on vellum. The watercolor ones were spritzed inked with SO Saffron, spritzed with water, then stamped twice to get 2 images with one inking. I dried them with the heat tool, and stamped the veined feather image over the first image in Gold Encore ink on the darker feather, and in Hello Honey on the lighter feather. Then I die cut them with the matching framelit. 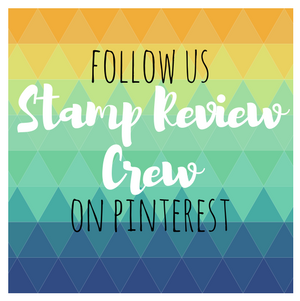 The sentiment is a retired stamp that I was going to sell, but have now decided that I still like it too much :) It is stamped on Very Vanilla with Mossy Meadow ink and die cut with some Nestabilities dies I have in my stash. The DSP is from All Abloom, and is cut to 2¼" square. Cut a 2½" Mossy Meadow mat. Adhere together and then to the Very Vanilla 3"x3" card base. Outline with white gel pen. 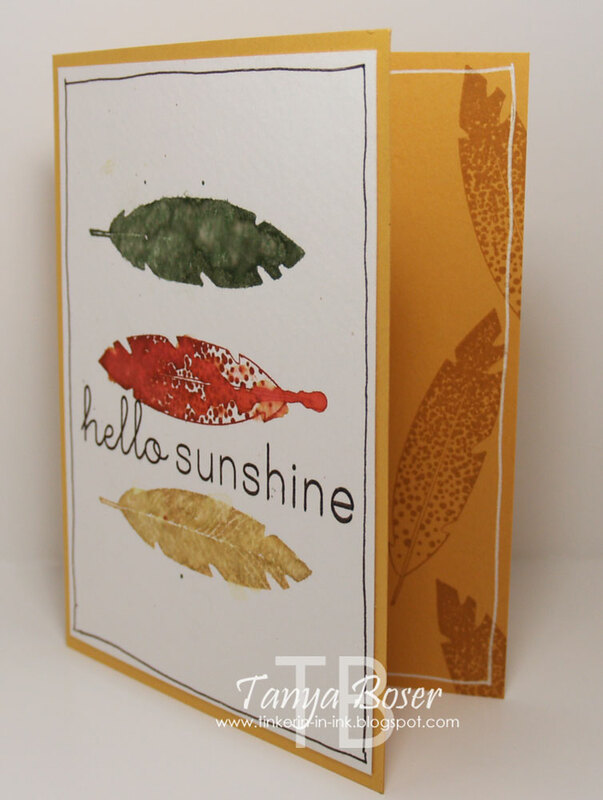 Use Glue Dots or Sticky Strip to adhere the feather to the card from in a fanned arrangement. Make sure there is room for the sentiment. Adhere the matted sentiment to the card front with dimensionals. Can you think of a great use for 3"x3" cards? I'm back with the second card in my experimentation with watercolor and the Four Feathers stamp set! If you missed the first one, here is a link to it. 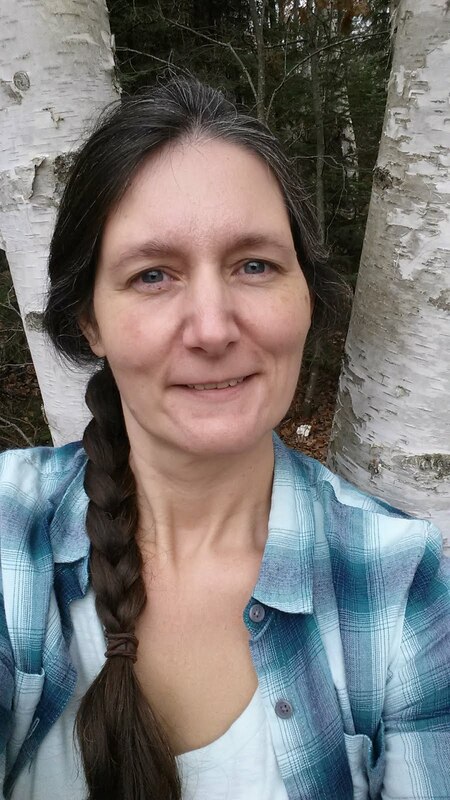 And incidentally, it is my birthday today :) I hope to be out taking pictures of the fall leaves and eating out! For this card, there are several fewer steps. It came out much more crisp that the other card. That doesn't make it better in my opinion. It just makes it a totally different look! Again, it is a 4"x5¼" panel of watercolor paper. 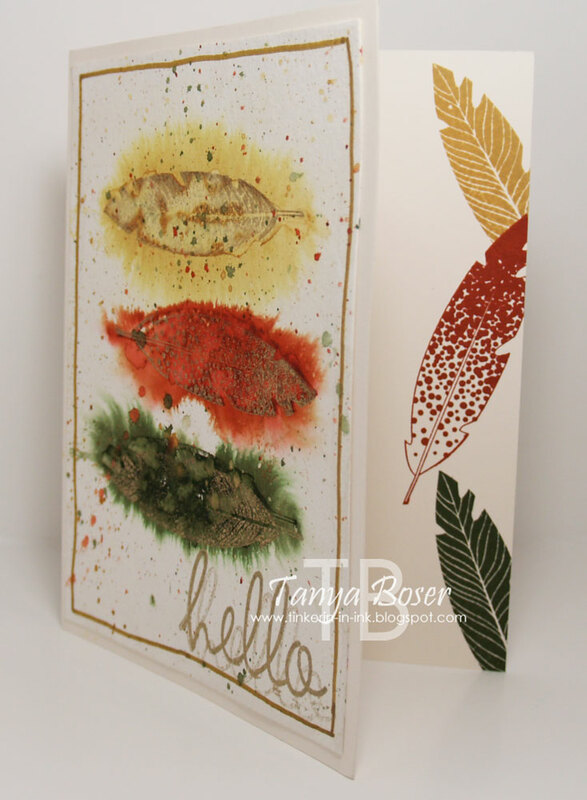 This time I inked up the feather images in Mossy Meadow, Cajun Craze, and Hello Honey, and stamped onto the paper. Then I took my Aquapainter and dripped a few drops of water onto each feather and tilted the paper around to get the water to roll around a bit. Then I let it dry. Next I stamped the sentiment in Early Espresso ink, and outline the panel with an Early Espresso Marker. 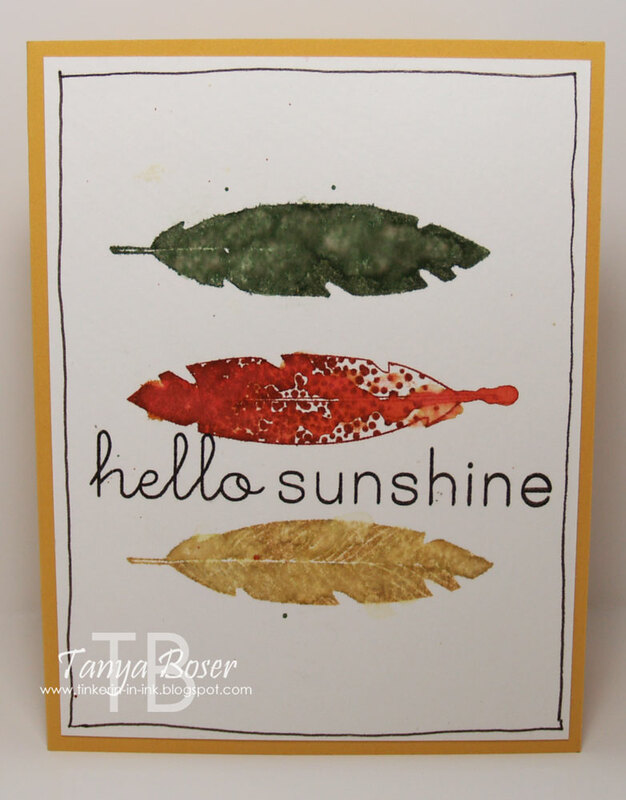 Inside I stamped the feathers in Hello Honey onto the Crushed Curry card base. AND outlined again with my Signo white gel pen. I tell you, nothing looks finished without it! So, which one is your favorite? I can't pick a favorite, I love them both! This was my first effort and I like it. But it was definitely an experimental card, lol! First, I cut a 4"x5¼" panel of watercolor paper. Then I laid it on my silicone mat to protect my desk and wet it liberally with a large paint brush. The paper was shiny with water and a little was pooling at the edges. The paper curls when it is wet, but don't worry. It flattens back out when it is dry. 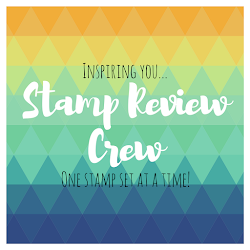 But when you go to stamp on it, you have to push the paper down onto your desk! 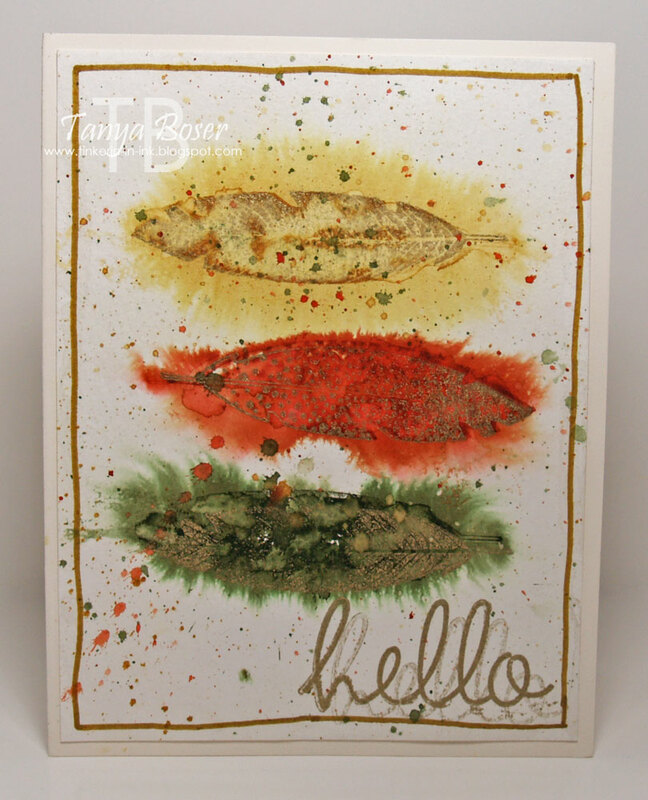 I inked up one of the large feather images with Hello Honey and stamped onto the wet watercolor paper. Then image immediately started to blur and bleed out. Not really a feather anymore. Ok, keep going! I quickly inked up the other large feather in Cajun Craze and stamped that next on the wet paper. Same thing. Now the paper was starting to dry out so I re-wet the bottom portion, then inked up the first feather image with Mossy Meadow and stamped it quick. I still wasn't quite happy with the definition of the stamped images, so I went back and stamped the feathers again in Gold Encore ink when the paper was completely dry. Then I loved it!! Then I inked up the "hello" from Hi There in Gold Encore ink and promptly dropped it on the panel I had just spent so much time on.... sigh. I guess I am going for the double image effect! So I moved it down and to the right a little and stamped again to hide the skip mark :) Yup, that's how I roll. And because I have to outline everything, I used the Gold Dazzle marker to outline the panel before I glued it to a Very Vanilla card base. Then I decided I needed some feathers on the inside. There was no masking done between the Honey and Cajun feathers. That was me not inking enough of the Honey feather before I stamped it, then covering up my goof with a well-placed Cajun feather, lol! What do you think? A flop, or a successful experiment?